When Surgery is NOT an Option! Our highly specialized team of healthcare practitioners provides the most advanced, comprehensive and innovative spinal rehabilitation treatments available. Located in the East Douglas Village of Cork City, we are the exclusive providers of Non-Surgical Spinal Decompression in Co. Cork using the Kennedy Neural-Flex© technology. Dr Tim Jaeger, DC, CPN, DABFM, ROHP, RNCP is currently the only Kennedy Certified Practitioner in Co. Cork and specializes in helping those who are suffering from disc bulges, disc herniations, disc protrusions, ruptured discs, degenerative disc disease, osteoarthritis, spondylosis, sciatica, spinal stenosis and related symptoms, such as arm or leg pain, pins & needles or numbness & tingling. Are you suffering from back or neck pain? Have you injured or “slipped” a disc in your spine? Are you living with a “pinched nerve”? Do you experience sciatica, pins & needles or numbness? Have you been told you have neuralgia, neuropathy, osteoarthritis, spondylosis, facet syndrome, spinal stenosis or neurogenic claudication? Non-Surgical Spinal Decompression may be the answer for you! Our approach is designed not just to help you get rid of the pain, but to provide you with a comprehensive rehabilitation program for long-term results that last. “I searched everywhere for an answer to my back pain and the nagging sciatica in my right leg. Painkillers helped for a while but I knew that wasn’t the long-term solution. After an MRI scan confirmed my L5 disc was bulging in my low back ..."
“I suffered a whiplash injury in 2008 and one of the discs in my lower neck was injured. I tried many different types of treatment and was desperate to avoid surgery. A friend told me about this new Spinal Decompression Therapy..."
“I went to Dr. Doug when I found out that I had spondylosis and two worn out discs at the base of my spine. My back was so stiff and sore, especially in the mornings and I knew I had to do something about it before it got any worse ..."
“I injured my back during a heavy lifting incident. I was eating painkillers everyday just so I could keep working. When my aunt told me about the Cork Spine & Disc Cener and the Spinal Decompression system, I was skeptical ..."
Will Spinal Decompression Therapy treatments hurt? Is it safe? Is Spinal Decompression Therapy new? Will I require an x-ray, MRI or CT scan? Non-surgical spinal disc decompression is a non-invasive treatment for acute and chronic spinal pain associated with herniated, ruptured, bulging or degenerative discs and sciatic leg pain or spinal stenosis associated with these conditions. It is also used for the treatment of conditions such as facet syndrome, spondylosis and even failed spinal surgery. It is safe and effective without the normal risks associated with invasive procedures such as injections, anesthesia or surgery. Spinal decompression works through a series of alternating decompression and relaxation cycles with a total treatment time of 12-25 minutes. The theory behind non-surgical spinal decompression is that significant distractive forces, when applied to the lumbar spine in variable directions can create a negative pressure in the center of the intervertebral disc, thereby creating a suctioning effect or “vacuum phenomenon” in order to retract or reduce the size of the herniated or bulging disc's gelatinous internal nucleus pulposus, thus diminishing or eliminating nerve compression, while at the same time creating an osmotic gradient which helps bring nutrients and water into the disc. Since intervertebral discs have poor circulation, they depend upon receiving their nutrition through diffusion across the endplates of the vertebrae above and below. The appeal of non-surgical spinal decompression is that it is a non-invasive, non-surgical, drug-free alternative treatment for low back pain, sciatica, disc degeneration, disc bulges, disc herniations, and facet syndrome. There is copious anecdotal evidence of its effectiveness and more case studies are being published demonstrating very positive results in patients who have tried other conservative treatments that have failed. Spinal Decompression Therapy treatments are one of the most gentle and comfortable therapies available. The treatments utilize equipment with proven safety and efficacy. Most patients report a mild sense of stretch on their back or hips, and often fall asleep during treatment sessions. Although traction therapy has been around for thousands of years, spinal decompression is relatively new. Advances in equipment and procedures have dramatically improved effectiveness. Cork Spine & Disc Rehabilitation Centre is the only clinic in Co. Cork that uses the Kennedy Neural-Flex Decompression table. We believe this to be the most sophisticated, technologically advanced, state-of-the-art decompression system in the world. Dr. Doug Meckelborg is currently the only “Kennedy Certified Practitioner” in Co. Cork. After your initial consultation at our clinic and a comprehensive physical examination, it will be determined whether diagnostic imaging is required. Often, MRI (Magnetic Resonance Imaging) scans, or in some cases, CT (Computerized Tomography) scans help to confirm the diagnosis and elucidate the nature and extent of the underlying problem. If required, we would refer you to one of the clinics in Cork that provide such services. Spinal Decompression Therapy is a comprehensive program of the newest traction techniques and targeted “core” stabilization exercises. Doctor skill, combined with the decompression table and computerized traction head, are the keys. Proper assessment, correct positioning and the use of pre-programmed patterns of distraction and relaxation reduces intervertebral disc pressure, thus allowing necessary nutrients to “enliven” and accelerate disc healing. In addition, we use other adjunctive treatments that have proven effectiveness in spinal care. It is this multi-faceted approach that makes the overall treatment so effective. Additionally, the disc has been shown to be a predominate site of pain in many spinal conditions, so treating it as directly as possible makes sense. The blending of focused decompression to the site, rehabilitation to the supporting structures, and overall strengthening of global musculature makes the treatment unique. 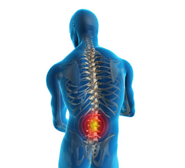 Along with the damage in the disc we also need to treat the supporting spinal muscles. A complete program targeting the function of the stabilization muscles is a vital part of Spinal Decompression Therapy. Our hope is not only to help heal the disc but enhance muscle control and support of the low back or neck. A gradual breakdown of the foundational support of your back or neck is what puts undue stresses on the discs and leads to pain and loss of function. Exercise and adjunctive therapies will assist in rehabilitating these structures. We offer affordable and individually tailored programs of spinal care depending on the nature of your condition and the extent of care needed. Most major insurance companies in Ireland (VHI, Quinn Direct, Hibernian Aviva) will cover a portion of your care. You always have the choice as to the extent of care you receive. Our staff will review all costs, payment options and insurance coverage up front. We want to help, and believe finances shouldn’t stand in the way of you and good health. Though each patient is different and no doctor can guarantee 100% success, our office is seeing great results from spinal decompression therapy. Damaged discs, joint dysfunction and poor spinal muscle control are among the most common problems underlying mechanical back pain. Our treatment program addresses both of these core problems. The Spinal Decompression Therapy creates a controlled decompression of the vertebral discs to decrease disc pressure thus increasing blood and nutrient exchange. This exchange of fluids is something the damaged disc desperately needs to help it heal from the inside out. Muscle strength, control and endurance can all be improved with other facets of Spinal Decompression Therapy that include specific controlled exercises. It depends on the nature of your injury as well as the complexity and extent of the rehabilitation needed; however, we typically begin with 3-4 treatments per week for 1 month followed by re-examination to assess progress. The treatment is administered over a reasonable time frame and your response is continually evaluated. Further treatments may be necessary or a reduced frequency may be recommended at that time. The rehabilitative phase may include additional Spinal Decompression treatments, with other adjunctive spinal therapies to enhance the results.